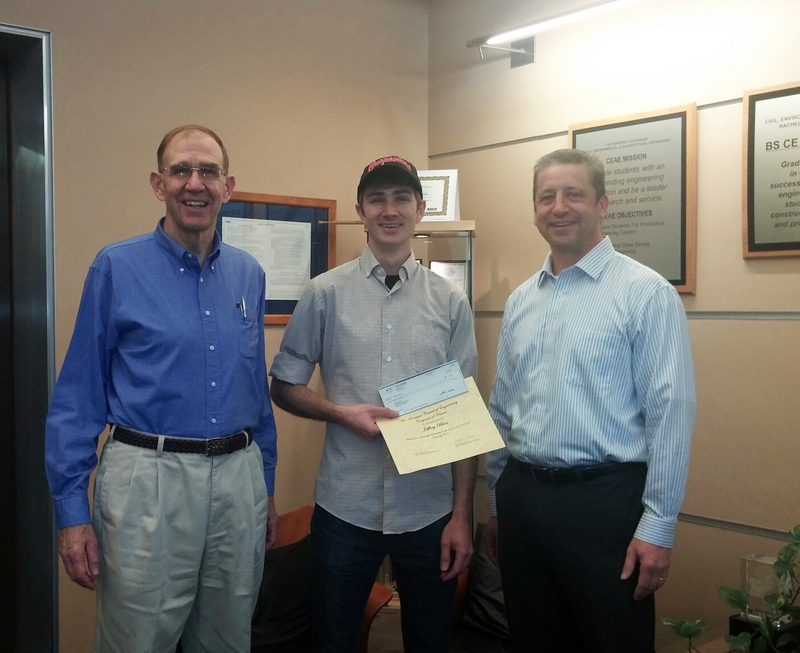 Congratulations to Jeff Bloss (ARCE Senior) - Jeff is one of the recipients of an American Council of Engineering Company State Award Scholarship. Jeff will now be eligible for the National Award! Joe Caldwell from Barlett & West along with Department Chair David Darwin surprised Jeff with the award.